Hurricane Harvey is officially a Category 4 storm with winds of 130 mph, per the National Hurricane Center, setting the stage for Harvey to become the first major hurricane to make landfall in the United States in over a decade. As of 7 p.m. ET, Harvey was 45 miles east of Corpus Christi, and moving northwest at just 8 mph with landfall expected sometime overnight. Corpus Christi had "strongly [encouraged]" its residents to evacuate as Texas Gov. Greg Abbott declared that the storm would be a "very major disaster" for his state during an afternoon press conference. Harvey is expected to stall out on the Texas coast for days, potentially bringing feet of rain. The National Hurricane Center's forecast: "Harvey is expected to produce total rain accumulations of 15 to 30 inches and isolated maximum amounts of 40 inches over the middle and upper Texas coast...Rainfall of this magnitude will cause catastrophic and life-threatening flooding." 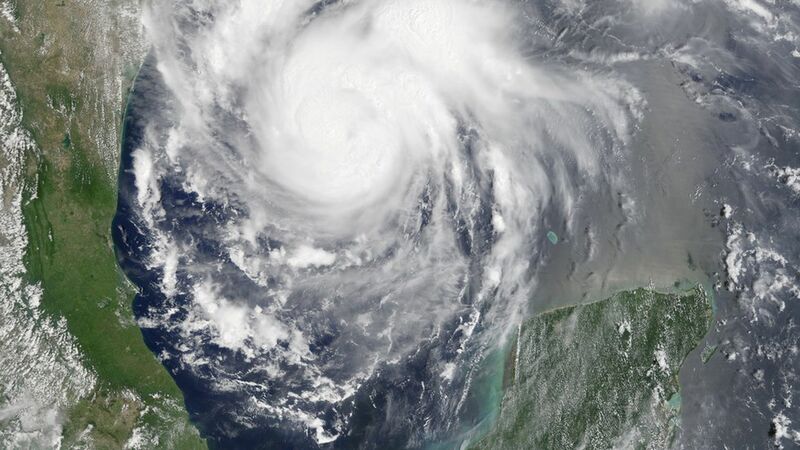 From Rick Knabb, former director of the National Hurricane Center: "[It's] rare that I've seen a hurricane threat that concerns me as much as this one does."